Born in Cuba and raised in Spain, Dr. Gomez later decided to begin her career in medicine. She had the opportunity to attend Universidad Complutense de Madrid (University of Madrid) and went on to have an extensive academic career that would prepare her for the success that lay ahead of her as a physician. She received her bachelor’s degree from Instituto Osvaldo Herrero of Santa Clara, Cuba. After attending medical school, she interned and started her residency at Franklin Square Hospital (Hahnemann University Medical School, Philadelphia). She completed her residency at Helen Fuld Medical Center. Her experience researching and contributing to the field of medicine for 7 years, as well as spending several years in nursing home care adds to the valuable insight, patience, and over 30 years of experience she brings to each and every one of her patients as a primary care physician. Dr. Gomez spent several years conducting studies and research for asthma. Some of the goals of the study included getting FDA approval on medications that do not yet have it, as well as getting FDA approval that will allow patients with certain conditions use some medications for uses other than the medications were originally intended for. What she loves most about her job is teaching people how to approach their lifestyle to be healthier, happier people. She feels that primary care allows her to treat and take care of the entire person, instead of just one aspect of their care. She is passionate about taking the time to get to know each of her patients as an individual, and not use a one-size-fits-all approach. Dr. Gomez participates in Club 15, which is a community organization that helps people in need pay their bills, specifically pregnant women. 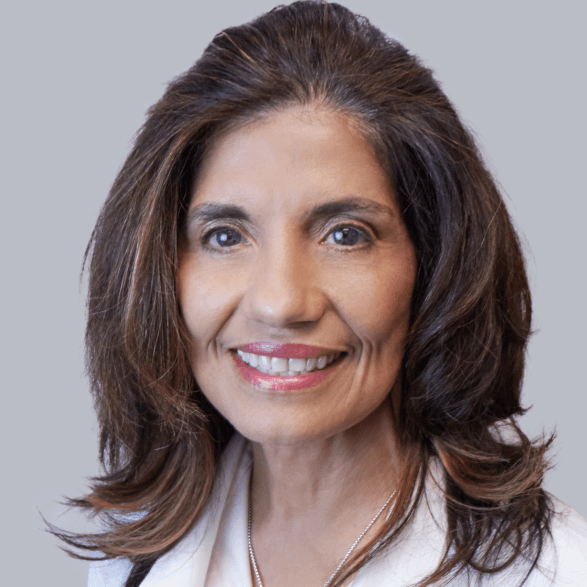 Dr. Gomez’ passions in her free time include reading & discussing literature, exercising, and gardening/growing orchids. She has three children and two granddaughters, and her favorite activities to do with them include reading, dancing, hiking and going to the playground.